Blonder has recently released their latest song, which feels just right for the spring weather. "In and Out" is complete with a uptempo beat ..
Portland based band LiquidLight, formed by Anthony Medici and Cory West in 2012, bring a refreshing sound to the current rock n' roll climate. .. The Feed rocks out on "Rexy"
Hailing from Saint Louis, The Feed is a rock band in every sense of the word. Edgy vocals from lead singer Dave Grelle combined with distorted, .. 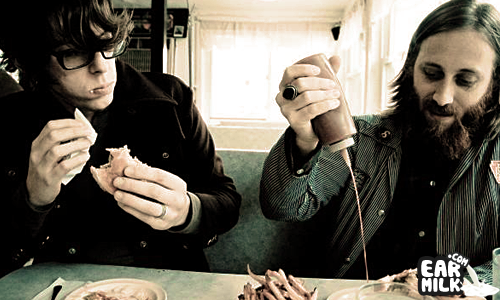 The Black Keys are prepping for the release of their highly anticipated album Turn Blue on May 13. Now, they have released the visuals for .. The Black Keys released their seventh studio album, El Camino, at the end of last year and, just like many of their previous releases, it became .. The wait is finally over. Ohio blues-rockers The Black Keys have finally revealed details for their upcoming follow-up to their 2009 LP Brothers. The .. The Black Keys have released a video for their hit track "Howlin' For You" from the album Brothers. The video was done like a theatrical trailer ..